And Still I Rise, one of Angelou’s poetry books, was released in 1978. The book contains two of her most famous poems, “Phenomenal Woman” and “Still I Rise”. In “Still I Rise,” Angelou calls herself “the dream and the hope of the slave” and promises despite whatever obstacles she faces, she will “rise” and “rise” and “rise” again. In 1993, Angelou performed “On the Pulse of Morning” at the presidential inauguration of Bill Clinton where she became the second poet to recite their work at a presidential inauguration. Angelou’s poetry has directly inspired other forms of art. Her poem “Africa”, in which she personifies the continent as a complex and emotive woman, was remixed into a jazz song. 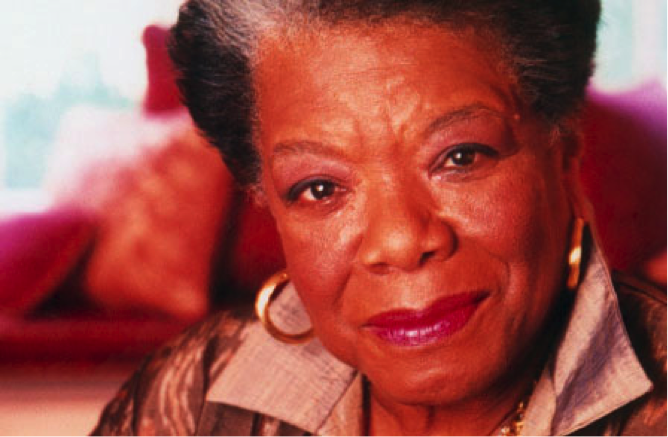 Vocals of Angelou reciting poetry were also remixed into an entire album entitled Caged Bird Songs.